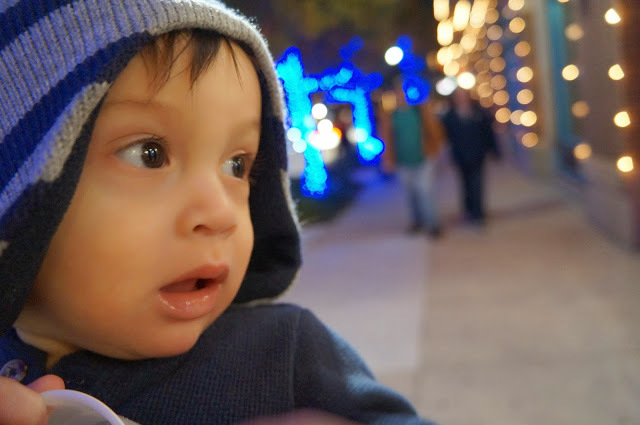 Linking up with Cari for Theme Thursday for a quick post before I rush off to finish getting our life together so GeekMan and I can go enjoy a nice and fancy evening at his Christmas work party! Today's theme is Lights! 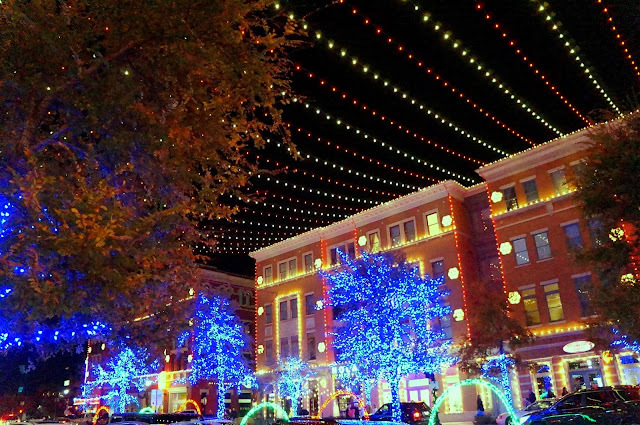 Over the Thanksgiving break we made our way to Frisco Square and were so completely delighted with their light show! The entire square is lit up to music! Every last strand takes on a beat and rhythm to pre-planned Christmas music on a radio station. It was completely magical and all things wonderful! Can't wait to go again and enjoy every last sparkle! Head over to Clan-Donaldson for more fun Light pictures! I love the reflection of light in his eyes. That is pure gold right there. Ah! Madeline! You're amazing! Definitely wouldn't have seen that beautiful aspect with my sleepy, scatter brain. I knew there were a number of reasons I loved this photo just haven't taken the time to really take it in.